Fiber Care Carpet Cleaning and Repair specializes in stain removal. Our highly trained Fiber Protection technicians use wet and dry extraction methods. The knowledge we have gained through years of experience will give you the peace of mind that you would want when you decide who should clean your carpets, and upholstery. Not all stains are created equal. To complicate things further substances that cause stains react differently to different kinds of fibers. Attempting to clean stains on your carpet, area rugs, or upholstery can cause even more damage if you don’t know what you’re doing. Many household cleaning products contain alcohol, hydrogen peroxide, ammonia, or even bleach. If these are applied on certain fabrics, you can actually burn the fibers and ruin the color. Most people don’t know that upholstery fabric is labeled with cleanability codes. The most common codes are W, S, WS, and X. The codes inform you about the type of cleaning products that should be used on the fabric. Carpet and area rug fibers also have specific characteristics, and they can be damaged by using incorrect cleaning solutions to remove stains. 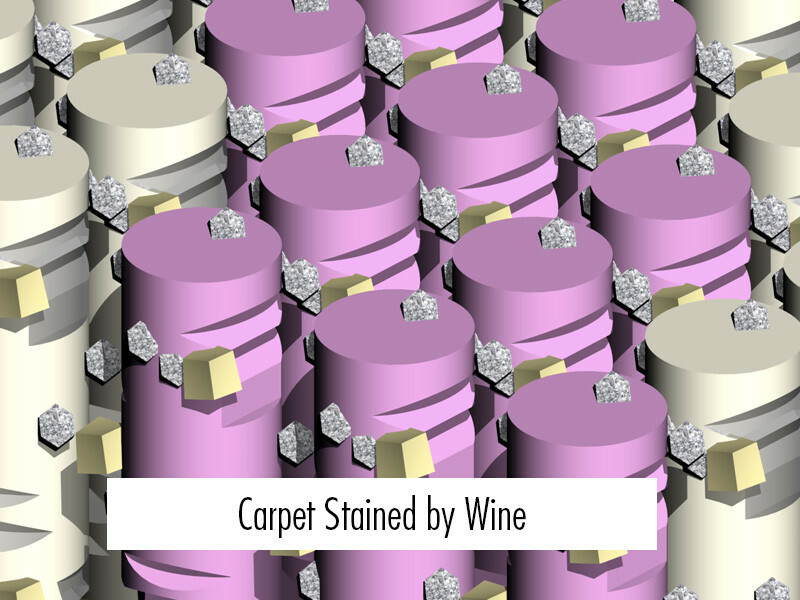 Wool and nylon fiber carpets generally stand up well to being treated for stains. But polyester and olefin fibers must be treated with special solutions to remove oil-based stains. Olefin can actually stand up to bleach, but you definitely wouldn’t want to try that with wool. We’re trained to look at both the stain, and the fabric of the upholstery or the fiber of the carpet. We use only eco-friendly cleaning solutions. Regular professional cleaning can take care of most stain problems. Here’s what to do if something stains your carpet. Blot, don’t rub. Clean up as much of the spillage as possible by first removing any solids and then blotting inward toward the center of the stain. Use a clear liquid detergent. Opaque ones can leave a residue that will attract even more dirt. Avoid anything harsher than a vinegar/water mixture. You could end up either setting the stain or damaging the carpet fiber. Time is of the essence! Don’t let a stain sit for days while you decide what to do. This is especially important if the spill is red wine, blood, or other dark colored substances.